Just a quick post tonight. I'm tired from 2 long days and have been having a little trouble getting into the blog. We had a long and busy day yesterday, I'll write a post about that hopefully tomorrow. This morning we started up very early. Our luggage had to be in the hallway by 7:30 AM and we were in the lobby ready to go at 8:00. With 11 families to get organized it was controlled chaos! We definitely turned heads in the airport as well! After saying goodbye to our three wonderful guides, we made our way through security. Our flight was around 2 hours and was pretty uneventful. Dragonfly slept for the first half and then did great until the last 15 minutes or so. She got upset about something as we were landing and cried herself into a fit. There was little I could do since, well, we were landing! Sometimes having a toddler you don't really know and dragging them all over kingdom come is just hard. In any case, we made it! 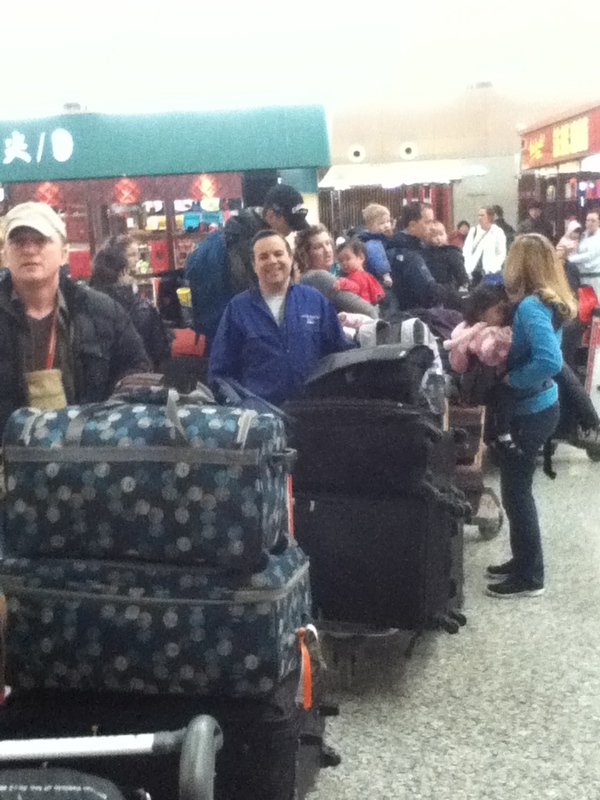 Everyone was really glad to be here in GZ. Weather is nicer. Area feels less foreign. There is more to do. Hotel is WAYYYYY nicer. Our guides here are Jason and Grace. Both I had on previous trips. They have a full week planned for us which starts tomorrow with a "city tour". We had hoped to find a church to attend, but it seems the one on the island is no longer there and we are not sure were else to go. So we will just do the tour. Did not take many pics today, but here are Daddy and Dragonfly hanging out this evening in the new hotel.